This entry was posted on June 12, 2014. Bookmark the permalink. It’s June! Hopefully your child experienced more success than challenges and took more steps forward than backward. Now that the school year is coming to a close, we have the luxury of 20/20 hindsight. It is important that the experiences upon which we reflect are best used as opportunities to learn, grow and improve going forward. Criticism, unhappiness and regret will not improve the next school year and will, in fact, be counter productive. After ten intense months, it is good for everyone involved to decompress and release from the tensions of the school year. Enjoy spending time together and simply have fun. Go to the beach. Take a bike ride. Watch some movies. Go to an amusement park. Forget about tests and grades for a while. After at least a week, take a deep breath and look back on the year. Compare the student your child was when the school year began and the student your child is now. In what areas do you see improvement? In what areas is there still work to be done? Which strategies were effective? Which were not? What motivated and inspired your child? What turned him off? Look at yourself as well. How did you handle the challenges that arose during the school year? 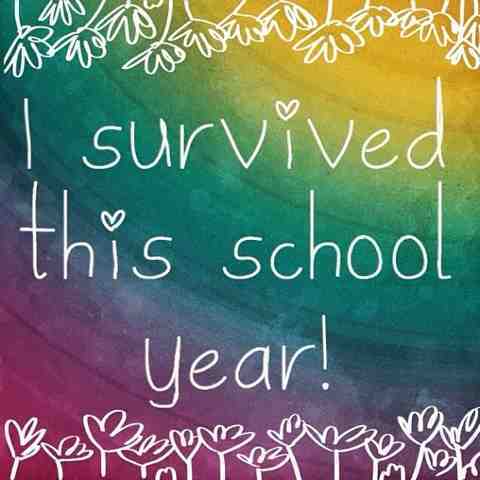 Did you handle things better or worse as the school year progressed? Do you feel you were supportive, productive and encouraging of your child? Perhaps you could have been less demanding, or maybe your expectations should have been higher? Did you give your children room to develop some independence, or perhaps you need to be more involved? Did they have enough down time during the school year? Did they have too much? Disappointments and missed opportunities provide valuable tools for our children and ourselves to learn and grow. It is our responsibility as parents and teachers to help our children learn from their experiences and encourage them to push themselves and take chances. To this end, acknowledge your children’s hard work during the past school year. Tell them what has made you proud, where you see improvement and how they have changed and matured. Provide specific examples of positive behaviors that you would like to see repeated. Ask them to share with you what has made them proud of themselves during the year. Find out how they feel about themselves and how they have changed. What would they like to do differently for the next school year? The answers may surprise you! Wishing you a fun and relaxing summer!